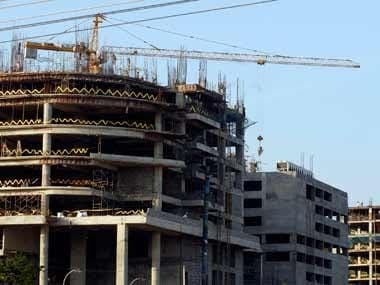 New Delhi: The ongoing liquidity crisis in NBFCs has "rattled" realty sector as this could hit fund inflows to developers as well as home buyers, and lead to the slowdown in housing demand-supply, said a report by real estate consultant Anarock Thursday. The real estate industry might also witness consolidation because of liquidity crunch, he said. The NBFC sector is under crisis since last month when it came to light that IL&FS group defaulted on short-term loans. "The ongoing NBFC crisis has, for all intents and purposes, hijacked Indian real estate's growth story over the short to mid-term. It will not only freeze funds to the real estate sector but also impact private equity (PE) funds flowing into the sector," Anarock Chairman Anuj Puri said in a report. PE players would become extra cautious in lending to developers and prefer last-mile funding, meaning for projects nearing completion. "In the short term, funding for greenfield projects will cease to exist. This will inevitably impact new launches across cities," he said. As a result of this crisis, Puri said home loan interest rates would see a slight rise in the near future. NBFCs would be a lot more cautious about disbursing loans till the market returns to normalcy and this could put an upward pressure on home loan rates. Banks as well as NBFCs could also tighten their norms around home loan disbursements to individual home buyers. The absence or scarcity of home loans to homebuyer could exacerbate the already protracted slowdown in residential demand in the short to mid-term, he said. "All in all, the NBFC crisis has rattled the real estate industry to the core – much more than the disruptions that recent policy implementations brought on - and now consolidations will galore. Only the fittest will survive this perfect storm," Puri said. Puri also cautioned that if the current NBFC crisis does not get resolved soon, the much-anticipated recovery of the real estate sector might get prolonged by a couple of quarters. On the housing market, Anarock said both sales and new supply are gradually picking up across the top seven Indian cities - Bengaluru, National Capital Region, Mumbai Metropolitan Region, Chennai, Kolkata, Pune and Hyderabad. The new launch supply across the top seven cities in first three quarters of 2018 stood at nearly 1,39,700 units, increasing by nearly 18 percent against the corresponding period in 2017. Housing sales have also witnessed a jump of nearly 8 per cent in the first three quarters of 2018 as against the same period in 2017.